Ann I Am! : Olay 7 Total Effects Body Wash Review/FREE SAMPLE and $10 Wal-mart Card Giveaway CLOSED! Olay 7 Total Effects Body Wash Review/FREE SAMPLE and $10 Wal-mart Card Giveaway CLOSED! 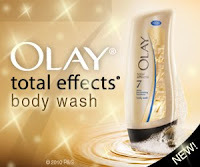 I recently was chosen to try Olay's most advanced body wash, Olay Total Effects. Olay Total Effects goes beyond cleansing to deeply moisturize and fight 7 signs of aging all over your body. Olay boasts quick results of "soft, smooth skin in 1 shower with improved elasticity in 1 week, as well as young-looking, radiant skin in 1 month. Wow--sounds too good to be true, doesn't it? In my mind, body wash is body wash. Some smell better than others, some feel creamier than others, some might be a bit more moisturizing than others, but they all are pretty much the same. My expectations were that this would be no better or no worse than any others I have tried. I hopped into the shower and opened the product. Immediately, I liked the fragrance. It is light scent that sort of reminds me of a spring or summer evening when the scent of a blooming tree lingers in the air. It is very pleasant. I squirted a small bit on my scrubby. It was very full and creamy, more like a mousse. I began to wash my body and was surprised at how soft it felt and how much it lathered up. Trust me, you just need a bit of this stuff! It feels so luxurious! After rinsing, my skin felt balanced. It didn't feel slimy or dry. It just felt right. I really like it and plan to buy it in the future. It runs about $7-$8 a bottle and Olay often has coupons in the Sunday paper for $1-$2 off. Want to try it for yourself? Then click HERE to get a free sample. And of course, there is a great rebate going on now. Purchase any three olay products and get $15 back. With the rebate, you would only be paying about $2.50 a bottle. But hurry, all purchases must be made by March 12, 2010 and rebate submissions must be postmarked by March 26, 2010. Click HERE for the rebate. And now for the best part...Olay wants to give one of my readers the opportunity to try a full-size bottle and has given me a $10 Wal-mart card to giveaway. This contest is open to readers in the USA only. You must leave a way for me to contact you. If it is not on your Google profile, please leave your email address. Contest ends on Wednesday, March 17 2010 at 11:59pm. A winner will be chosen using Random.org. First entry: Tell me one thing you do to treat yourself. Disclaimer: I received a bottle of Olay 7 Total Effects Body Wash to try and the $10 gift card for Walmart to giveaway from Olay via MyBlogSpark. This review contains my honest opinions. I was not compensated in any manner except for the review product. Ann Crabs reviews/author assume no liability for damages associated with any prizes awarded here or contents contained therein. 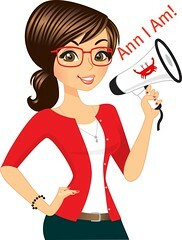 Prizes lost in the mail are not the responsibility of Ann Crabs. I treat myself by sleeping in on weekends. Tell me one thing you do to treat yourself. I like long hot showers!! I tweeted about this contest!! I am dnbuster on Twitter! Following from MBC! Trying to get you to 100! I don't cook on weekends! I treat myself by buying a new book and reading it in bed in the morning before I officially start my day. I splurge on an expensive, yummy coffee that I love! I treat myself with gourmet coffee. I also entered your Maryann Kohl book givaway. Cheers and good luck with this Giveaway! Hi, I follow you on google connect.. I treat myself by getting a pedicure every so often. I treat myself to weekly hot virgin olive oil baths weekly! And I'm gonna following you on Twitter too! I treat myself by heading to the bookstore and browsing for an hour or two and snagging at least one new book to read. I treat myself by not allowing my lazy side to talk me out of exercising :->. Once I begin exercising I feel so much stronger and better about myself, and that feeling can last all day. I am now following you through Google Friends! I treat myself with starbucks....caramel frapp! I sneek downstairs before my husband & daughter wake up so I can just veg out on the couch with a coffee. I take 10 minutes every morning before I get the kids up for school to enjoy my first cup of coffee! I entered the mattress protector giveaway. I follow you via twitter and I tweeted. I love taking long bubble baths to relax and pamper myself! I treat myself by enjoying my 2nd cup of coffee in the quiet of my home before my 2 younger kids are up! I treat myself to Chai Lattes. I am not sure if I am too late. It is 11:52 here but just in case I will tell you that I pamper myself with a nice sugar scrub. Sugar scrubs are relaxing to me and they come in so many scents. I just love them!